This is across Arch Avenue from city hall. First Avenue is in the left background. 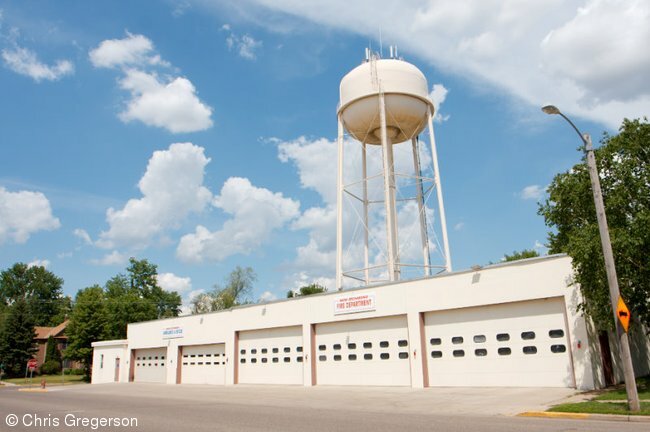 The city's water tower is behind the fire station.